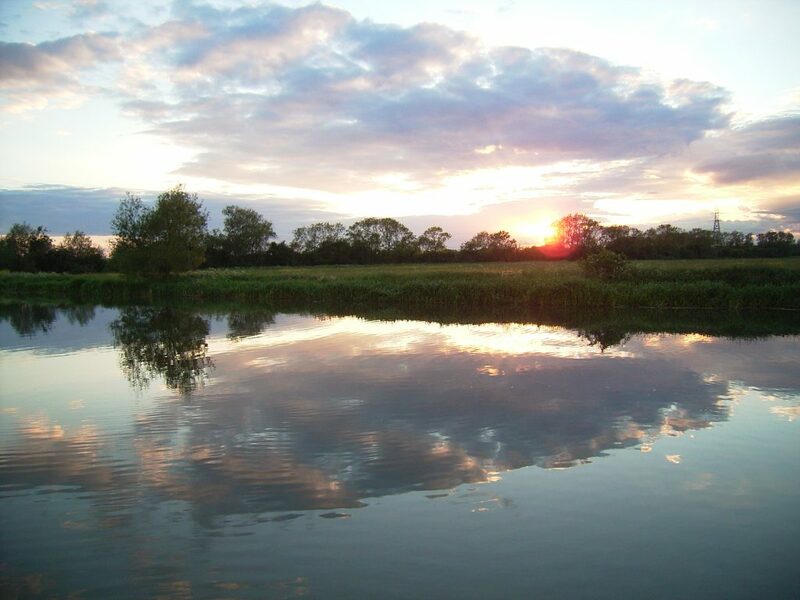 Available for hire as a sailaway from 1st May to 31st October 2019 is our 45ft narrowboat called Allys. These sailaways can be for 4 days midweek or 3 days at weekends. Allys is also available as a non sailaway bed and breakfast upto 30th April 2019 and indeed again from 1st November. She is a cruiser narrowboat suitable for upto 4 people and is easy to drive and suitable for the whole family or couples wanting a river escape. Allys is well equipped and as you climb aboard you will find yourself in the saloon/seating area with a pull out sofa bed (sleeps 2). Then the galley is well equipped for you to be able to cook for yourselves whilst away on the 4 burner gas cooker with grill and oven. There is a large tank supplying hot and cold running water / CD Radio and a woodburning stove. Coal and kindling are provided onboard and you can purchase more fuel on arrival for running the stove. There is 240volt power and a 12 volt cigar-lighter electrical point for mobile phone chargers. There is a shower room with portaloo toilet and then a double bedroom (sleeps 2). There are various places to store clothes, coats and shoes. 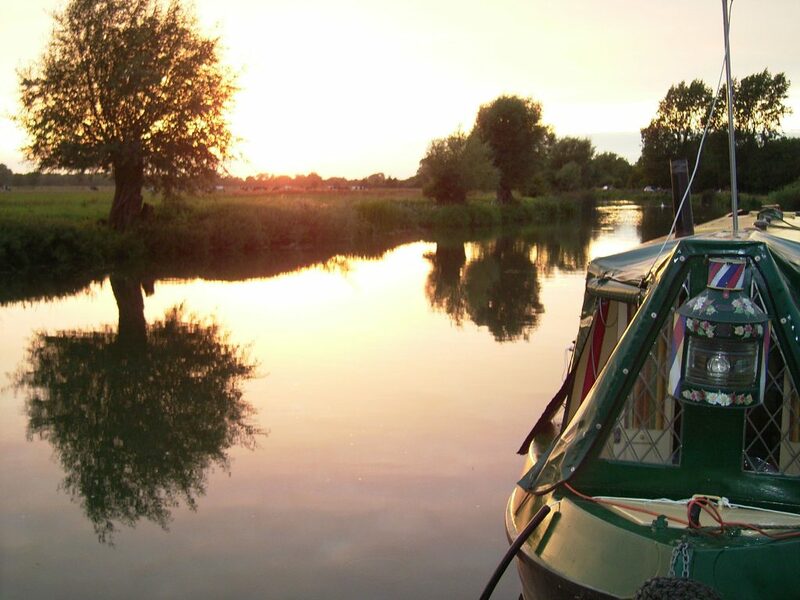 A boating holiday on The River Thames will include some navigational skills, lock work and mooring abilities therefore you should be fairly fit and able bodied. Unfortunately she is not equipped or suitable for disabled use. Cooking utensils, plates and cutlery are provided as well as bedding and linen appropriate for the number of berts. All fuel (gas and diesel), car parking for upto 2 cars (at owners own risk) and tuition and buoyancy aids are all included in the price. £35.00 per short break. No more than 1 large dog or 2 small (maximum 2 dogs) and no cats are permitted onboard. Hire times – Arrive at 3pm and return by 11am on the last day of hire. A minimum deposit of £200.00 must be paid upon booking with the remaining balance to be paid 6 weeks before your holiday commences. We recommend that you take out holiday insurance as no refunds will be given for cancellations 3 weeks before your holiday commences. Payment can be made by credit card (we do not accept American Express). The river can flood during periods of heavy rain. If the river has flooded and is deemed a danger to users then we reserve the right to refuse hire. Please note that with the exception of mobile phones, electrical appliances are not permitted to be plugged in overnight including sleep apnoea machines. You’ll receive tuition on arrival. The tuition usually lasts for approximately 45 minutes and youll have plenty of opportunity to ask questions. 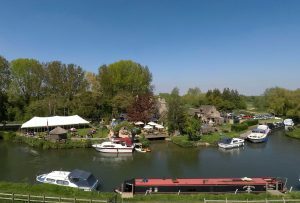 We will provide you with a River Thames guide which has a map of the whole river and allows you to plan where you can moor or stop for lunch. You do not need to have a licence to skipper a boat and nor do you need to have a drivers licence. Please contact info@yeoldeswan.co.uk or telephone 01367810220 tpo discuss you requirements and check availability.